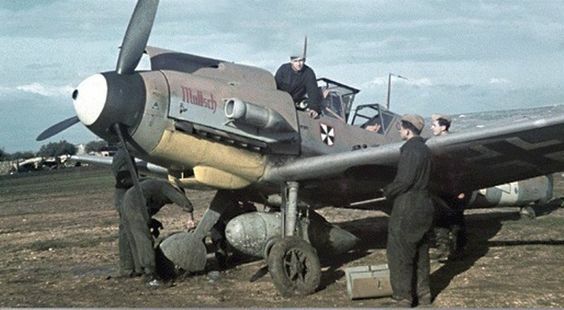 According to the seller, there are 3 RK holders in front of this ZG 76 Bf 110 adorned with sharksmouth marking ; " vor der Maschine 3 RK Träger darunter Nacke, Herget, Groth ". 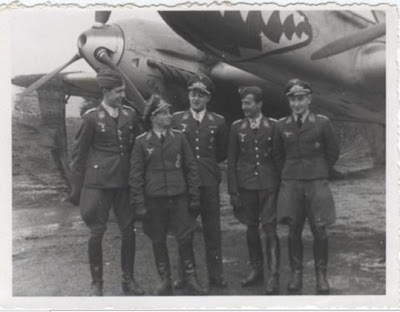 From left: Jabs/Herget/Groth/Nacke/Borchers. Additional caption info via John Vasco.